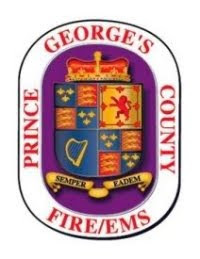 Prince Georges County Firefighters battled a work intensive fire located within the interior walls of a Greenbelt 3-story apartment building this morning. Firefighters arrived at this fire incident in the 8500 block of Greenbelt Road just before 12 Noon and reported smoke showing. An interior attack was initiated with firefighters having to open up the walls and ceilings of apartments from the terrace level all the way to the top floor to extinguish the fire. After nearly 45 minutes the fire was declared extinguished. Preliminarily, 17 residents will be displaced as a result of the damage; 11 adults and 6 children. There is a possibility of that number increasing. The County Citizen Services Unit and American Red Cross are assisting displaced residents. Fortunately, all occupants safely evacuated the building prior to the Fire Department’s arrival. No civilian or firefighter injuries have been reported. The cause of this fire is currently under investigation. Investigators will be looking to see if a stove fire extinguished by firefighters about an hour earlier in the same apartment of origin had any involvement with this incident.